The Juice 16 June 2016 The Juice – S3 E5 – LIL Kesh On this episode of The Juice, Shoki Master, and former YBNL artist, Lil Kesh talks about the song that brought him to limelight, and what it felt like working under Olamide. He also sets the records straight about his departure from YBNL. Enjoy! Rumour Has It 13 June 2016 Rumour Has It – S1 E5 Obi decides to address Wole’s infidelity publicly in a bid to put the entire episode behind her. 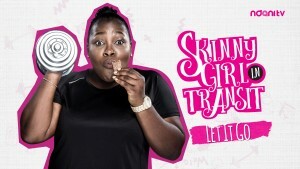 Skinny Girl In Transit 13 August 2015 SKINNY GIRL IN TRANSIT – S1E5 – LET IT GO Shalewa makes fun of Tiwa, while her mum urges her to do all she can to make Femi her man.